A West Chester magisterial district judge was one of nine jurists indicted in a far-reaching, alleged ticket-fixing conspiracy in Philadelphia Traffic Court, the U.S. Attorney’s Office announced Thursday. The defendants include Michael J. Sullivan and Michael Lowry, sitting Traffic Court judges; Robert Mulgrew, Willie Singletary, and Thomasine Tynes, former Traffic Court judges; Mark A. Bruno, a Chester County magisterial district judge who works in West Chester; H. Warren Hogeland, a Bucks County senior magisterial district judge; Kenneth Miller, Delaware County senior district judge; Fortunato N. Perri, Sr., senior judge, Traffic Court; William Hird, former director of records, Traffic Court; Henry P. Alfano and Robert Moy, area businessmen. According to the 77-count indictment, Philadelphia ward leaders, local politicians, and associates of the Democratic City Committee regularly contacted defendants seeking preferential treatment on specific tickets. Additionally, defendants were regularly contacted by family, friends and associates seeking a “break” on tickets. These defendants accepted these requests and either gave the preferential treatment directly or communicated the request to another judge to whom the case was assigned. The indictment said tickets were “fixed” by either being dismissed, finding the ticket holder “not guilty,” or finding the ticket-holder guilty of a lesser offense. In many cases, the ticket-holder did not even appear in Traffic Court, yet their ticket was “fixed.” As a result, these ticket-holders paid lesser or no fines and costs, and evaded the assessment of “points” on their driver’s record. This widespread “ticket-fixing” defrauded both the Commonwealth of Pennsylvania and the City of Philadelphia of funds, and allowed potentially unsafe drivers to remain on the roads, the indictment said. The defendants allegedly used their personal assistants and courtroom staff to communicate requests to “fix tickets” to other judges. The indictment further alleges that the conspiracy also involved a cover-up, which consisted of shredding paperwork, speaking in code, and trusting only certain individuals to carry out the fraud scheme. Three judges – Lowry, Mulgrew, and Tynes – are each charged with committing perjury before the federal grand jury. Singletary and Hird are each charged with lying to the FBI when they were approached and asked questions about ticket-fixing at Traffic Court. The indictment said Alfano regularly gave defendant Perri free auto repairs, free towing, free videos, and free seafood in exchange for “fixing” tickets. According to the indictment, Alfano would give Perri traffic citation numbers, the names of offenders, or the actual citations to arrange “fixing” the ticket. Perri conveyed the information to Hird, who conveyed the request to the assigned judge, the indictment said. Court-authorized intercepted telephone conversations reveal that Perri prioritized assisting Alfano, and Alfano made sure to take care of Perri. Perri told Alfano: “When you call, I move, brother, believe me. I move everybody.” After multiple free repairs on his cars and family members’ cars, Perri allegedly told Alfano their relationship was “becoming like a one-way street. I like a two-way street.” Alfano responded: “If I need something, you’re going to do it,” the indictment said. The indictment said Bruno, 50, who could receive up to 60 years in prison, requested assistance from Perri to fix a ticket for “J.M” in January 2011. During a Jan. 14, 2011, phone call, Perri took credit for “putting” Bruno in Traffic Court, the indictment said. It said other judges sometimes filled in for the Traffic Court jurists when they were on vacation. Hird, it is alleged, was extremely loyal to Perri given that Perri helped Hird move up the ladder to a high-level administrator at Traffic Court. Recorded conversations demonstrate that Hird acceded to Perri’s requests to “fix” certain tickets. Given Hird’s position at Traffic Court and access to the judges, Hird was allegedly able to facilitate requests for ticket fixing, not only for Perri, but also for various Philadelphia ward leaders, the indictment said. Sullivan, in addition to requests from ward leaders, also assisted friends and customers of his bar, the Fireside Tavern. According to the indictment, Sullivan directed associates who wanted their tickets “fixed” to leave them at his tavern, where they were placed in a box behind the bar. Sullivan would assure his associates that the ticket would be “fixed.” In one recorded call, Sullivan told a ticket holder, “I know you’re broke” and “it don’t matter which judge would be hearing the case, because “you’re good,” meaning the “fix” was conveyed, the indictment said. Moy, who owned “Number One Translations,” a business located in Philadelphia, would guarantee paying customers favorable results on their Traffic Court citations, based on his relationship with both Singletary and Tynes, the indictment said. According to the indictment, Moy even advertised in a local newspaper that he “tackles the traffic ticket, and guarantees no points or fewer points.” Ticket holders took their citations to defendant Moy, paid Moy hundreds of dollars in cash, were instructed not to appear in Traffic Court, and ultimately were found not guilty by either Tynes or Singletary, the indictment said. 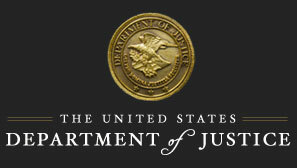 In addition to the conspiracy charging a longstanding and widespread practice of fixing tickets, the indictment specifically lists 50 separate citations as being “fixed.” These tickets involved driving at unsafe speeds, driving an unregistered vehicle, texting while driving, operating an ATV on the highway, running a red light, making a prohibited u-turn, careless driving, not using a child safety restraint, and towing a vehicle without a towing agreement, among others. Yet, these ticket holders unjustly incurred no penalties for their vehicle code violations, the indictment said. The moneys that would have been received from adjudicated citations would have been equally divided between the City of Philadelphia and the Commonwealth of Pennsylvania, money that would have helped fund emergency medical services training; MCARE, which helps compensate people injured by medical malpractice; and the Access to Justice Fund, which provides money for legal aid for low income people and victims of domestic violence, Memeger said.